Coolpad Note 5: Is It Better Than Redmi Note 3 Or LeEco LE 2? 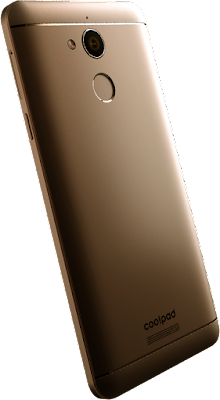 So today, Coolpad skipped a number while announcing their new affordable mid-ranger device - The Coolpad Note 5. A device aimed at the mid-range market which boasts a lot of quirky Specifications when it comes to numbers. Coolpad did manage to generate a decent amount of sales with their Coolpad Note 3, and after that, it's not catching up that so-called heat in the Indian market, Sure they did announce a couple of Smartphones, but very few grabbed hold of the Indian Consumer's mind. So with Coolpad Note 5, They aim to target the sub Rs 12,000 range market and with those kinds of Specifications it's quite certain that they would hit the jackpot. But with the competition from LeEco and Xiaomi, Is it possible? Well, that's quite early to judge without ever holding the device, Today let's find out more about the specifics of Coolpad Note 5 in-depth. So it has a 1.5Ghz Snapdragon 617 MSM8952 Octacore Processor coupled with Adreno 405 GPU & a whopping 4GB RAM. It has a 5.5 Inch IPS LCD HD(1920*1080) Display giving it a pixel density of 401 PPI with 78% of the screen to body ratio. It houses a 13MP rear camera having a F/2.2 aperture with 6P element Lens & a usual LED Flash. On the front, there's an 8MP Fixed Focus camera again with F/2.2 aperture and a physical LED Flash. It comes with a 32GB Internal memory and expansion is available up to 64GB via a MicroSD Memory Card Slot. Also just for kicks, OTG support is available. It has a massive 4010mAh Removable battery, which is interesting at this price point given that fact that it comes with a 4GB RAM. While you swallow that, Yes Quick Charge 2.0 technology is also available since it houses a Qualcomm processor. 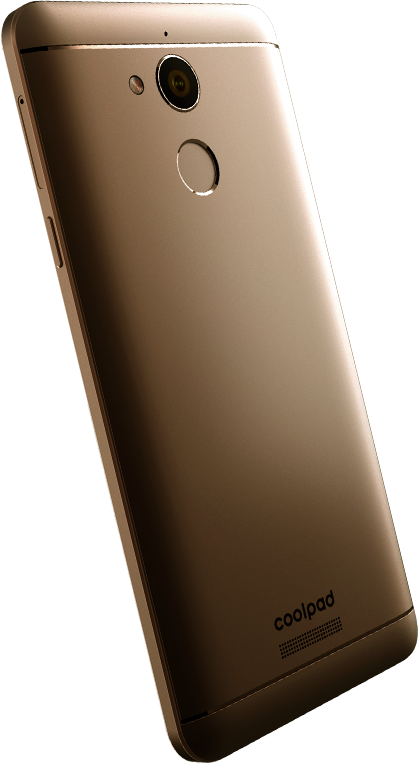 Apart from the general proximity and light sensors, The Coolpad Note 5 also comes with a Fingerprint Scanner which gets situated on the back below the rear camera sensor. It also supports WLAN 802.11 B/G/N & Bluetooth 4.0. It is a Dual SIM device, and it's VoLTE ready, just insert the 4G SIM in the first SIM slot & it weighs about 173g. 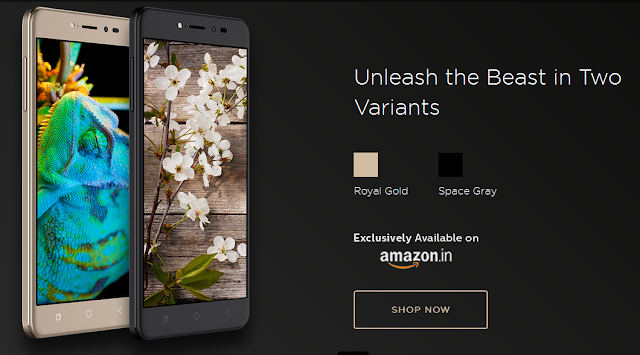 It is available in two color variants - Royal Gold and Space Gray. At first glance, the Coolpad Note 5 looks gorgeous although you would need large hands to judge that. It has an aluminum unibody metal design, with two plastics strips at the top and bottom of the rear side which mimic the metal feel, but frankly speaking, those are located there for a continuous antenna reception. Don't worry that doesn't make it look cheap in any sense, Due to the material that has been used to cover and it sort off blends with the metal design. On the front, The same combination of unibody design gets reflected as there's a 2.5D curved display incorporated right above the edges. My only concern regarding this device is that it's quite large. But again that is due to the massive 4010mAh battery implementation. Judging the fact that this device has a 13MP rear camera, the photos would be decent. 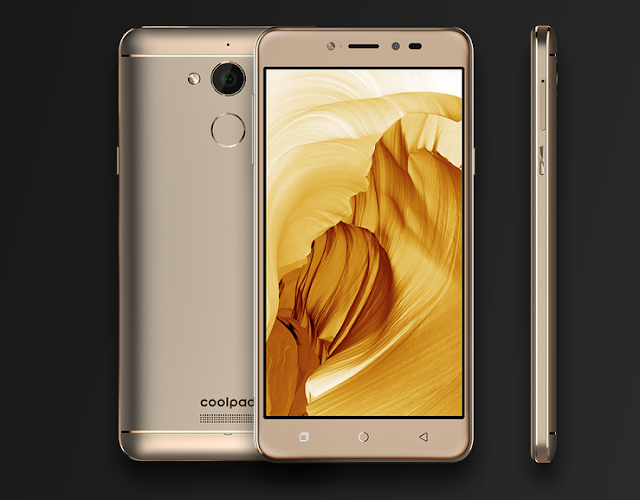 But don't expect Noise Free pictures, As Company has been marketing that fact with Coolpad Note 5. Sure the Selfies would have less noise in them due to the new LED flash, and it would perform at its best to suit your social media requirements. The F/2.2 aperture is a good thing to have on Coolpad Note 5, As the sensor gets more light, and your photos get reproduced in the crisp version of the actual scene. It runs on Cool UI 8.0 which is built on top of Android Marshmallow 6.0 & for good reasons has unnecessary bloatware pre-installed. Also, there's also a feature called App Freezer where you can select the Apps you don't want to run in the background and keep them in a steady state preserving the performance & both battery life. Interesting to see that this feature isn't automated as it should be since there's 4GB of RAM on this device, Why don't you optimize RAM Management properly Coolpad? It's hard to see Brands running behind the specifications rather than optimizing the tools available. Heard of Android One devices? Those things have such a low-end hardware, But they still manage to run efficiently on the latest version of Android. Why? Optimization. It's big time brands leverage this power instead of running behind the specifications or numbers. It also comes with a feature called Snap transfer, a quick and straightforward solution to transfer all the data from your existing Android device to Coolpad Note 5 without the need of Internet connection or a cloud account. Also considering that it comes with 32GB of onboard storage, you would be good to go with it anytime. All of those numbers might give you an essence that this might be a mid-range device priced approximately around LeMax 2's pricing right? But wait, that isn't the case, wait for it. The Coolpad Note 5 gets a price tag of Rs.10,999. Yes that beefy battery that too removable, a whopping 4GB RAM, a Fingerprint scanner, 13MP Rear camera, an 8MP front camera with LED flash all of that priced at Rs.10,999. If someone would've said this to me a year before, I would be the first person laughing at him. So the struggle to stand among the very best under Rs.12,000 price range concerning competition is fierce. I can't wait to see the sales of this device, and I'm pretty excited about it. Coolpad Note 5 - Is it better than Redmi Note 3 or LeEco LE 2? Considering the specifications, I guess my answer would be, It's on par. But I won't agree on the fact that it would be the very best device under Rs.12,000 price segment. I'm a person who believes in optimizations rather than the numbers/specifics. Both the Redmi Note 3 and LeEco Le 2 have far better processors than Coolpad Note 5. On the same part, Coolpad Note 5 has more RAM, But LeEco & Xiaomi have done an excellent job in RAM Management. So at the end of the day, it would be a tough call. So I did rather put my decision on hold and use this device, If I get it. I would come up with few more posts regarding the same. My initial impressions about this device are pretty good and recommending one to a friend won't be a problem on my side. So the Coolpad Note 5 would be available exclusively on Amazon starting 20th October, So mark your calendar folks. Here are some recommendations from our side, If you're considering a Coolpad Device as of now. Also See: Honor Holly 3 Launched: Specs, Price and Availability In India.